This week, WSGT is interviewing Linda Lappin: novelist, travel writer, and author of The Soul of Place – A Creative Writing Workbook, Ideas and Exercises for Conjuring the Genius Loci (Travelers Tales, 2015), gold medal winner in the Nautilus Awards for the category of Creative Process. 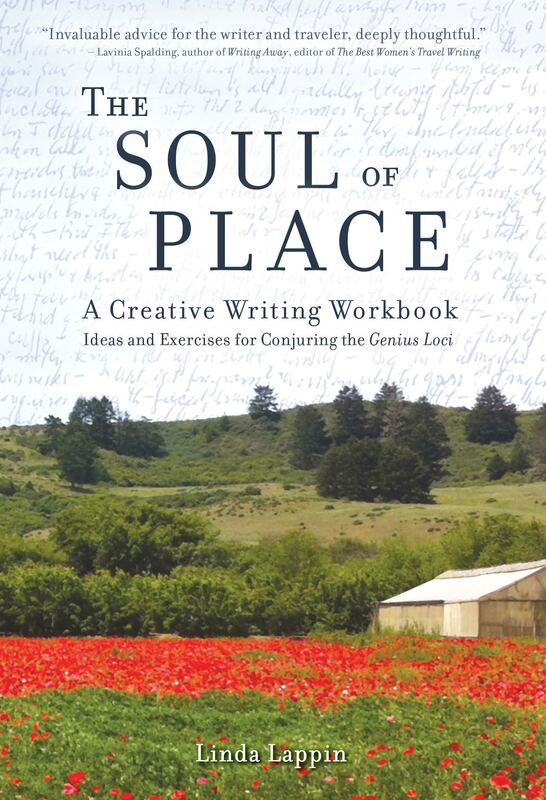 We are gifting a copy of The Soul of Place as part of our Gratitude Writing Award! Tell us, in the comments below, where you feel filled with gratitude by Friday October 14th 5pm PST and be entered to win! My first trip abroad was to the UK, where I spent a semester in London during my sophomore year travelling frequently on weekends to Salisbury. I loved the exquisite cathedral there, the charming cottages with red doors and thatched roofs, the Old Mill Inn where I rented a bedsitter, the tea rooms serving hot buttered scones. Nearby, stood the magnificent monument of Stonehenge, which in the fall was perpetually wrapped in the thickest fog I have ever seen. I loved London too, especially Bloomsbury, where my college had its London base in Gower Street. But it was in Salisbury that I felt immersed in history and where I learned that there are places that can nourish our imaginations and creativity. I would live part of the year in the USA, part in Paris, part in Italy, spend my summers in Greece, and take a long trip to Japan. I’d stop teaching so I could dedicate more time to writing fiction. I have published three novels and have three more I’d like to complete, but finding the time is hard. I would also create a foundation for writers and artists. 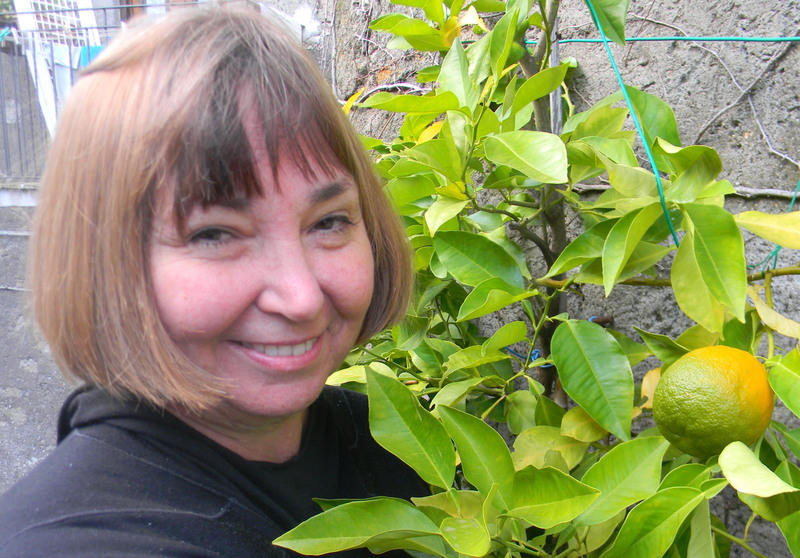 I was incredibly lucky to receive a grant, and then an extension to the grant, which allowed me to stay in Italy for over eighteen months after finishing graduate school. After my grant period ran out, I decided to stay on in Italy, even though I didn’t have anything to fall back on: no job, no boyfriend, no legal permit of residence, and no savings! Uprooting myself from the US was scary and unsettling in many ways I hadn’t counted on. But one thing led to another and I was able to stay and make a life for myself. I just stuck it out, despite some low moments. Another fear was crossing the threshold to speaking another language. I kept hanging back when it came to expressing myself fully, because I was afraid of making mistakes and being judged. I still deal with this handicap in learning new languages, though I am less shy than I was. FaceTime to keep in touch with far flung friends and family, Google Maps, my weather app, and Facebook. That’s a hard question – I can think of many marvels of nature and of architecture, or of the two combined, so it is difficult to name a specific place. Rather I’d say that I wish more people could have the opportunity to see or experience a place that gives them a strong sense of the sacred or of mystery or beauty that leaves a deep trace and changes how they see the world and themselves. That is, in part, what my book The Soul of Place is about, discovering our unconscious dialogues with our surroundings. A writer, whose name I don’t even recall, once gave me this advice: “Once you have put your hand to the plough, never look back!” It bears thinking about and is applicable to many things in life. My husband and I were in Paris to visit a dear friend at the Salpetriere hospital, which is a sprawling city within the city, a labyrinth of buildings and streets. It was noon on a hot day in July, and we were walking along bewildered, studying a hand-drawn map, trying to locate the neurology clinic where our friend was being treated. A BMW with tinted windows drove by, stopped, and a very distinguished, impeccably dressed, older gentleman, got out and walked over to us, and asked us in very good English where we needed to go. We showed him the map and he very kindly and efficiently told us how to get there, then got back in his car and drove off. We were amazed that he had taken notice of us and had stopped to offer help without being asked. Then we had an even greater surprise when we stepped into the neurology clinic. We found the gentleman there, wearing a white coat, surrounded by a bustling staff. He was obviously an important doctor there . We were really impressed by the fact that such a busy person on his way to work would stop and take the time to help a couple of strangers trying to find their way around. For me this illustrates not just the kindness of strangers, but the great civility of the French. After a semester in England back in college, I spent nine months in Florence, living around the corner from Piazza Santo Spirito, and I absolutely fell in love with Italy, Italian culture, and the Italian language. Returning to Italy to live became a goal that obsessed me all during my twenties, and I finally managed to make the dream come true. Lawrence Durrell, a great traveller and novelist, says somewhere that “travelling can be a science of intuitions.” I feel rather than know what he means. I travel to collect fragments of other times and realities – I travel to discover where it is I want to go. I feel filled with gratitude when I drive out to the mountains! Thank you very much for your comment Hailey, you’ve been chosen as the winner of Soul of a Place writing workbook. Please write to [email protected] with your contact info. and Twitter handle. I feel gratitude at the end of a landing strip or stepping out of the car at the end of a long road trip, thankful for my adventures and thankful for the return home. I feel grateful to have studied under Linda Lappin. Thea, I just saw your comment from ages ago. Thank you! It was an honor to work with you. Well…there really isn’t a place I don’t feel gratitude. From an early age I decided to take the perspective the glass is half full. As a young child I can recall observing adults who felt as if they had zero control or ability to at least direct their lives a tiny bit towards the things they liked. I decided I wanted to make being happy a habit and to achieve that is to both have and express gratitude for the opportunities around us. It doesn’t need to be significant. I try to be grateful for the simple pleasure of a really good, fresh mango juice and thank the person who made it for me. Or to try speaking new words or phrases and people who will take time out of their day to write down the pronunciation on a napkin. For me, there is not a specific action or place that causes me to feel grateful. For me, feeling grateful is something that comes from within and an action I hope to propel outwards. Great interview and thanks for the chance to win this book! I feel gratitude, when I hear the waves splash against the shore. It is my happy place! It is the little things. I also feel gratitude when a student comes in and thanks me for helping them with their study abroad experience and then hear how that experience changed them. Every time I leave a class at Yoga to the People! I feel filled with gratitude anyplace where my surroundings draw me to the present moment, like an awe-inspiring sunset, or a beautiful flight of birds. Those are the moments when the world draws my whole being into the present moment and I am so full of gratitude for all of the opportunities that I have had that have brought me to the place, and the journeys thats have brought me to that moment. These moments can happen to in any place at any time and helping others be aware and open to the beauty and spontaneity of the world is a delight! I feel grateful here in Colorado, where I moved in May 2016.